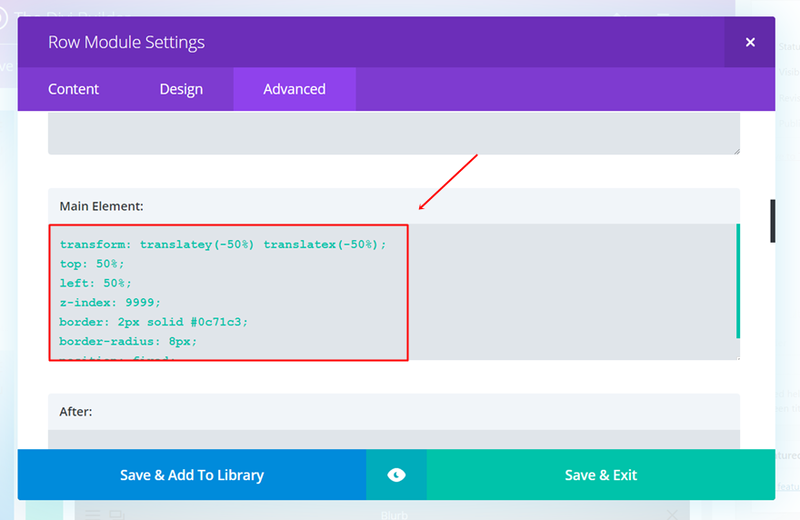 In this Divi tutorial, we’re going to show you how to create a contact form that appears after clicking a button (as an overlay) by using nothing else than Divi, some jQuery code and CSS code. This is a great way to keep your site visitors focused on the action they’ve committed to by clicking a button. It doesn’t take them to a different page but locks them into that action until it’s done. Below you can take a quick peak at what we’ll be creating and then jump into the tutorial! 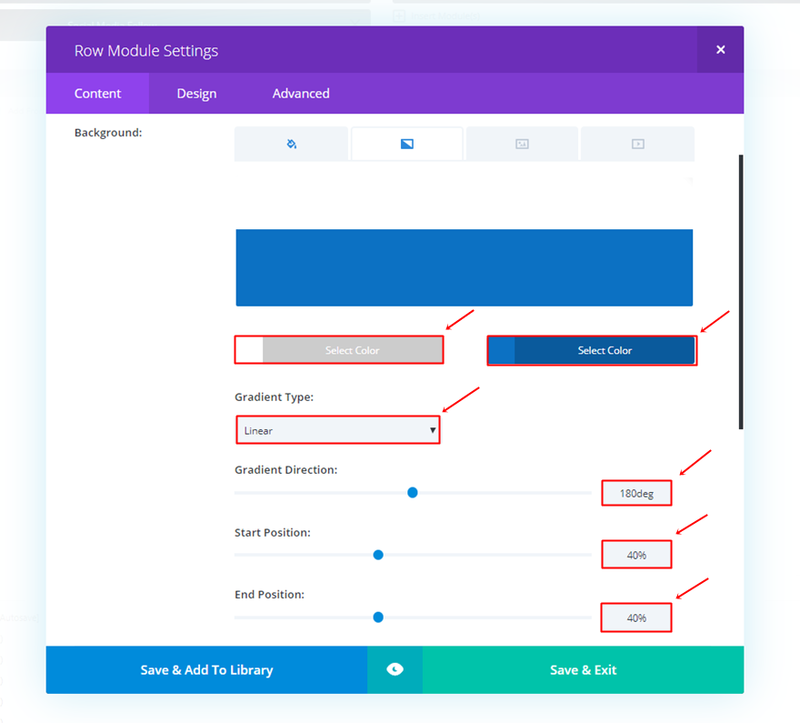 Typically we show how to do almost everything in Divi’s frontend visual builder. In today’s post however I’ll be using the backend builder. Because of the code we’re using it’s a bit easier. That said, if you love the frontend editor as much as we do, you can just as easily complete this tutorial using the frontend “skeleton” view. Ok, let’s get into this tutorial! 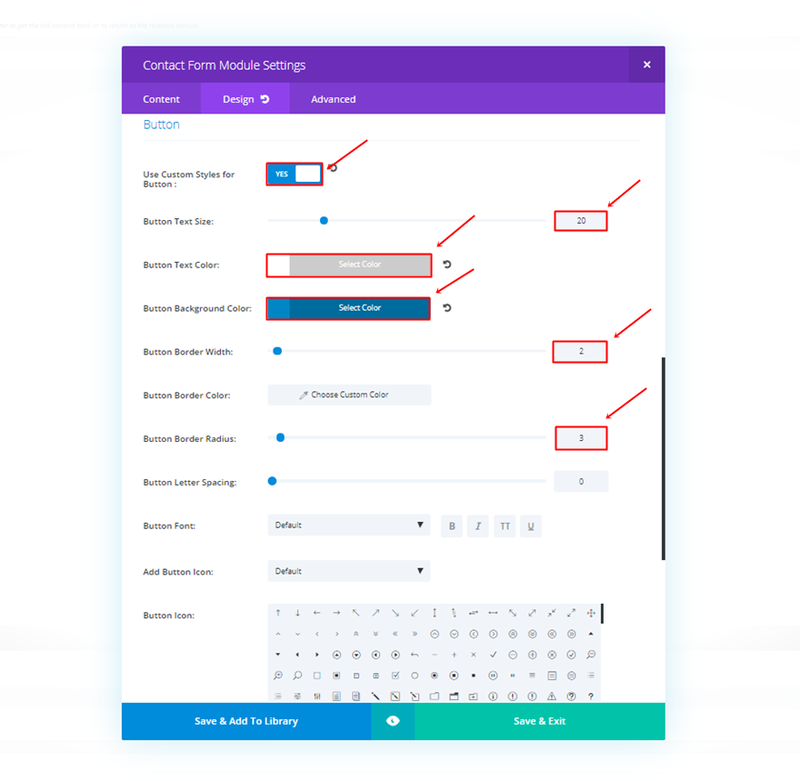 The first thing we’ll need to do is add a new section where we place the button that’ll allow the contact form to pop up. Just add a standard section and select a one-column row. Once you’ve done that, add a Button Module to it. You can style the button however you want but you have to make sure that the button URL starts with ‘#’ followed by something else. You can’t just leave it blank or use the ‘#’ character only. By adding ‘#’ and some text, the page will not move once you click on the button. If you leave it blank, the page will refresh on click. And if you only use ‘#’, you’ll get sent to the top of the page. The next important thing we’ll need to do is assign a CSS class to the button. We’ll be using this CSS class later on this post in the jQuery code to make sure the contact form pops up after clicking. The class we’ll need to assign to the button is simply ‘button’. The next thing we’ll need to do is create the desktop contact form that’ll appear once someone clicks on the button that we’ve created in the previous part of this post. 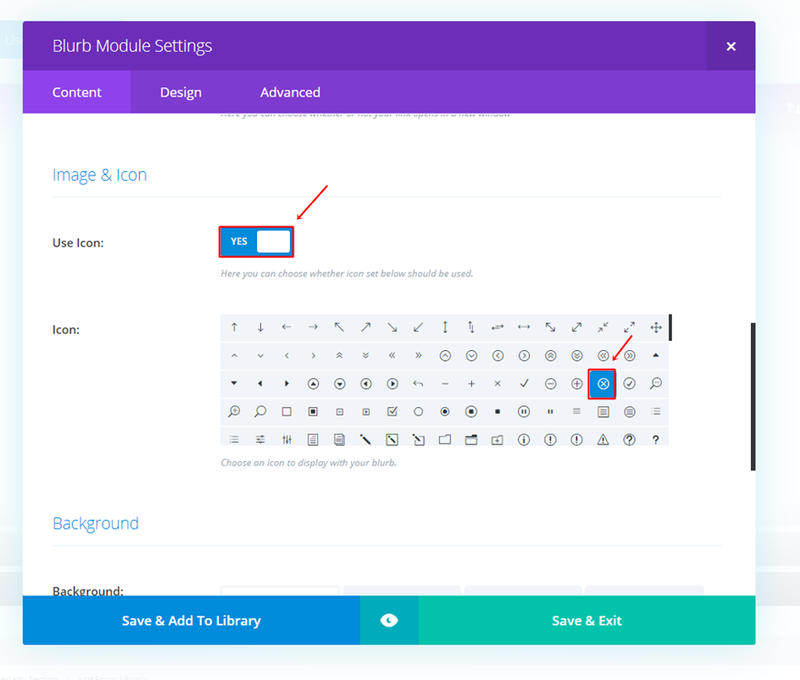 Later on this post, we’ll also show you how to create the mobile version. 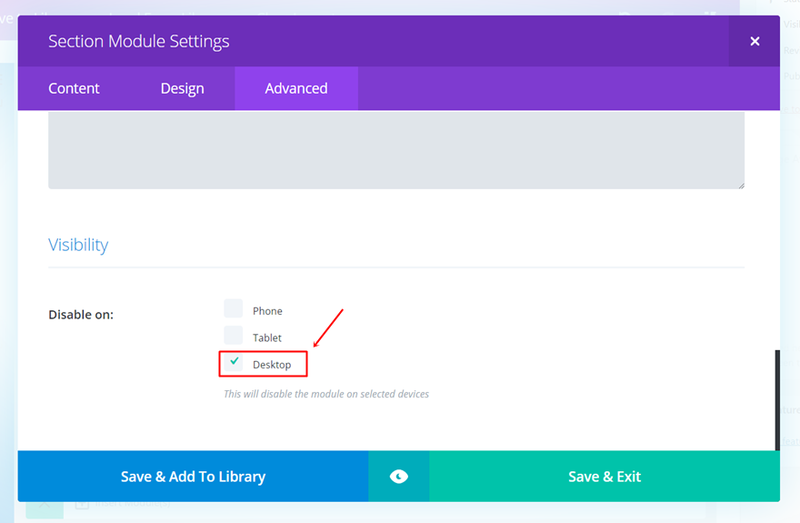 The last thing we’ll need to do in the Advanced tab is disabling the section on phone and tablet in the Visibility subcategory. 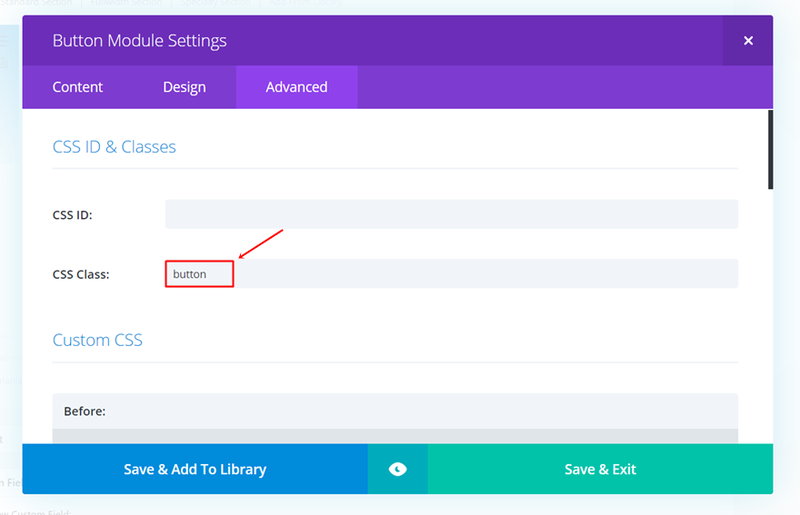 Continue by adding a two-column row and go to the Design tab. 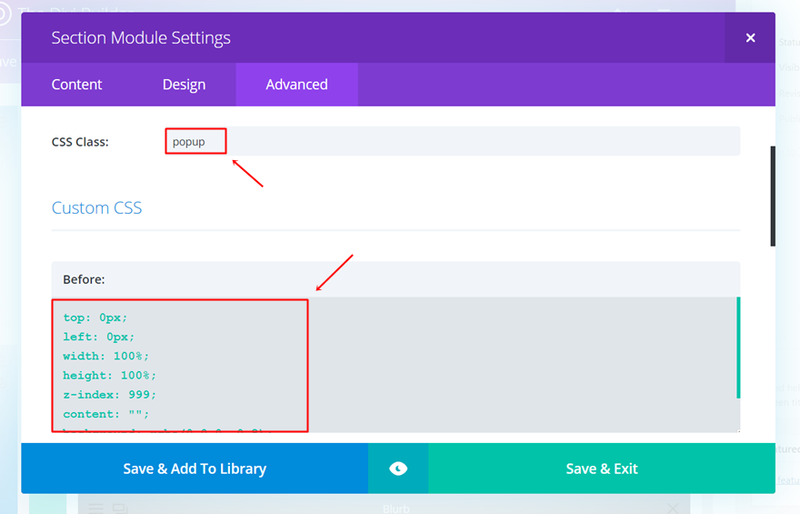 Start by modifying the width of the row in the Sizing subcategory. In this example, we’ve used a custom width of 1291px. 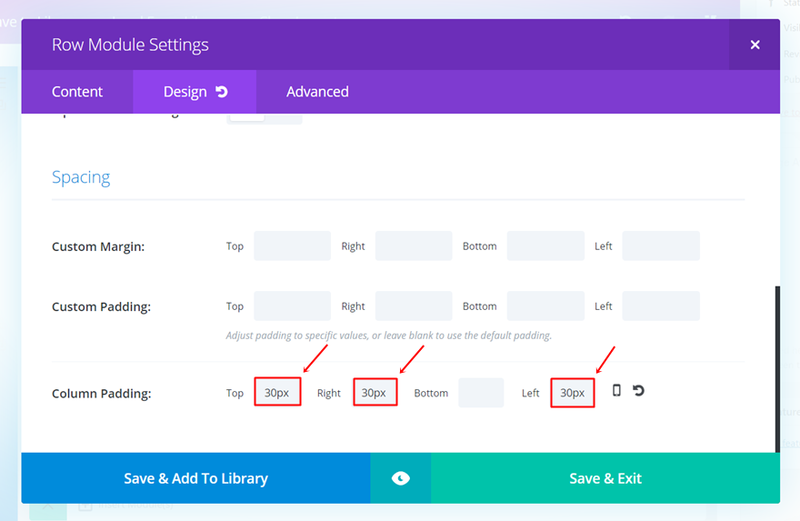 Scroll down the Design tab and use ’30px’ for the top, left and right padding of both columns within the Spacing subcategory. 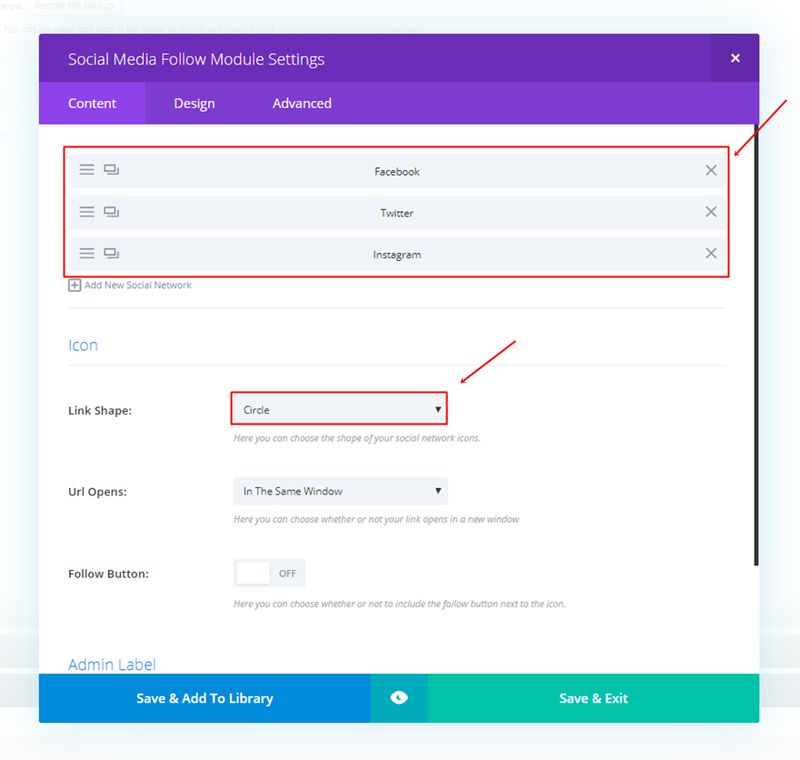 Moving on, we’re going to add the Social Media Follow Module to the first column as well. In this case, we’ve chosen three social icons; Facebook, Twitter and Instagram. 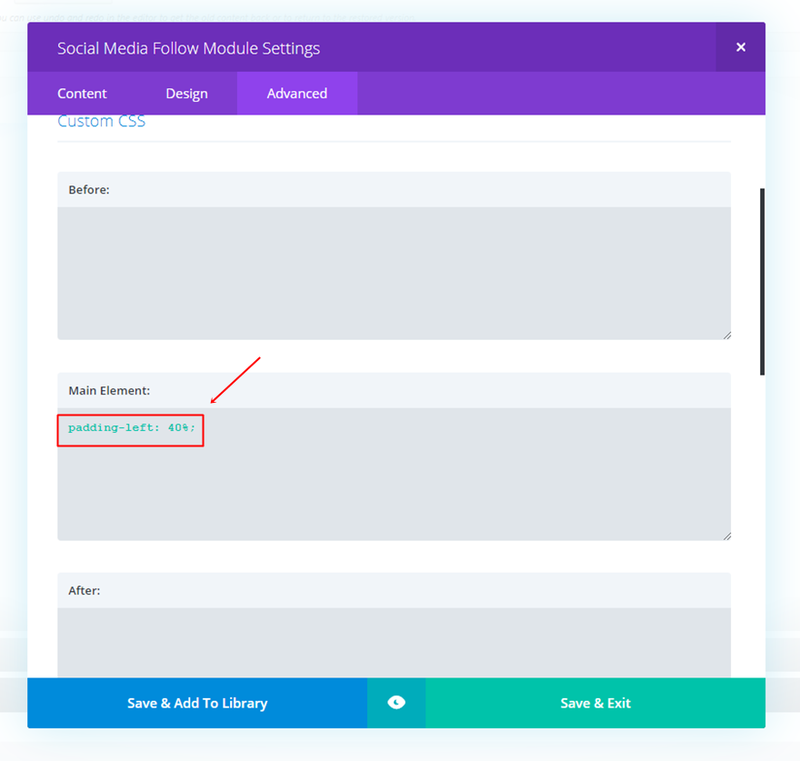 Once you’ve added these social icons in the Content tab, change the Link Shape to ‘Circle’ in the Icon subcategory. Move on to the Advanced tab and add a top padding of 5%. Another thing we’ll need to add to the second column is a Blurb Module. The only thing we need this Module for is the exit icon on the right top of the popup. Choose the following icon in the list of icons and leave all the other things blank. For the phone and tablet popup, we’re only going to need one column. 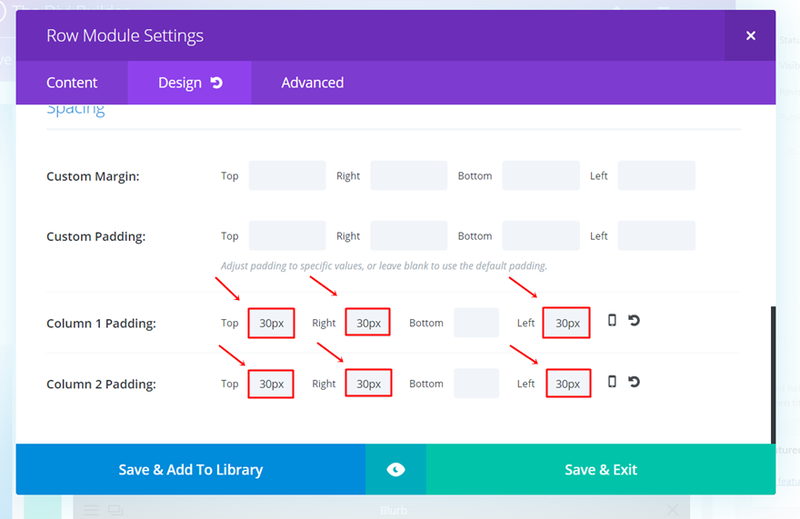 For this row, we’re not going to use custom width. However, we are going to apply the custom padding as we did for the desktop version; 30px for the top, left and right padding of the column. 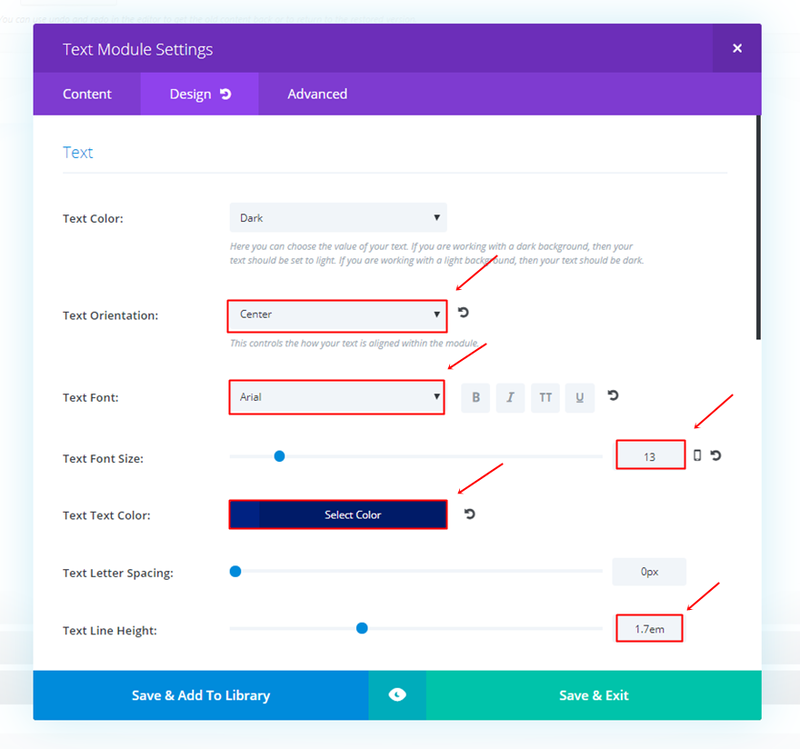 The next thing we’ll need to do is clone the first Text Module we’ve used for the Desktop version along with the Social Media Follow and Contact Form Module. After you’ve cloned them, place them in the one-column row of the new section you’ve just created. 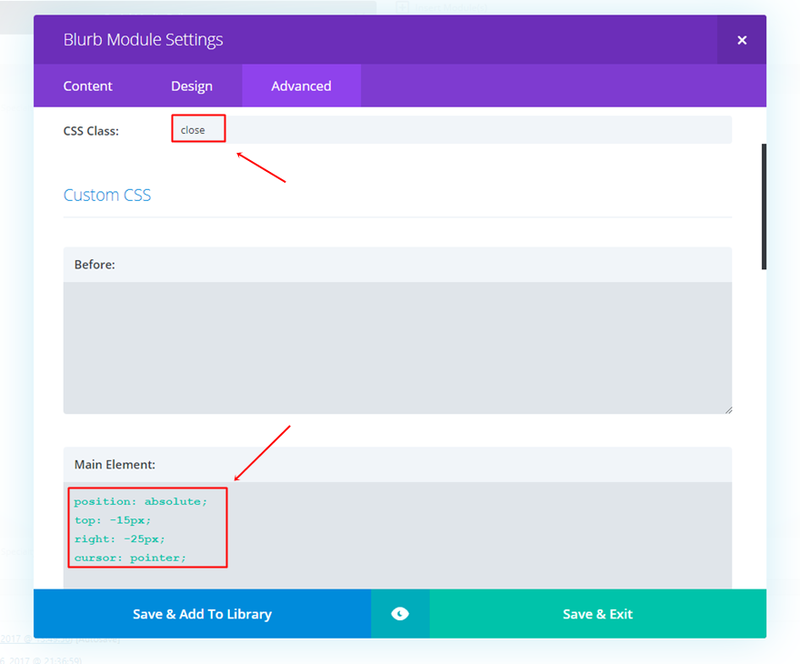 Make sure that the ‘close’ CSS class is used for the Blurb Module as well. 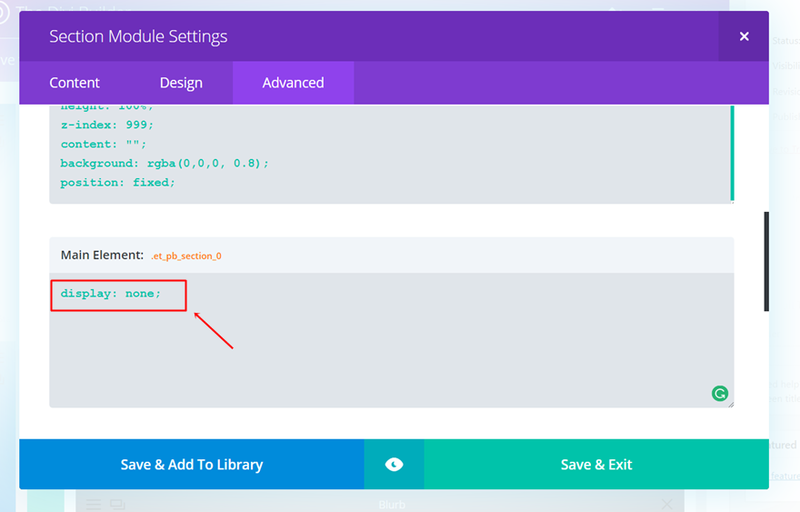 The last thing we’ll need to do for this tutorial is adding the jQuery code. 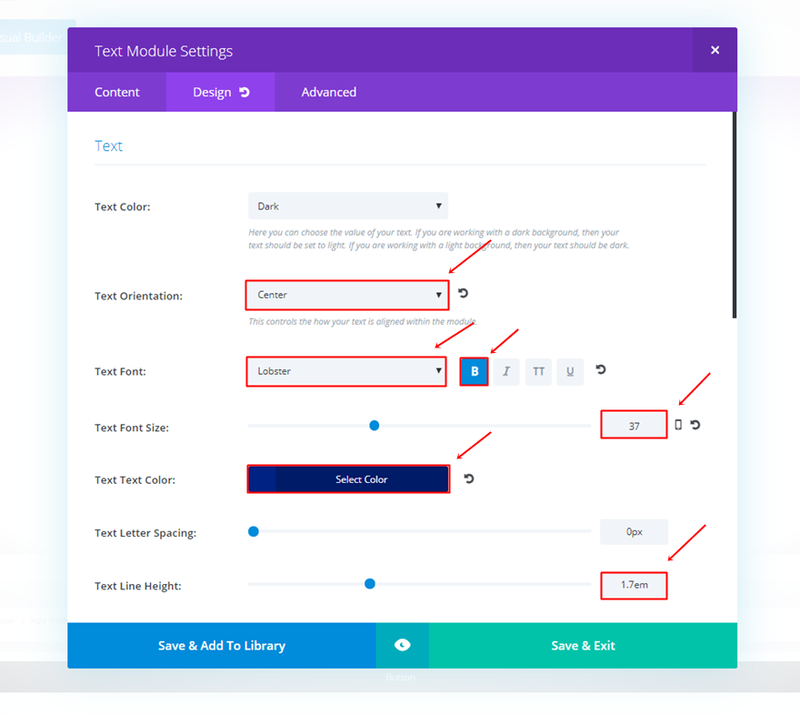 You can add the code through the Theme Options or through a Code Module that you place within the page you’re working on. 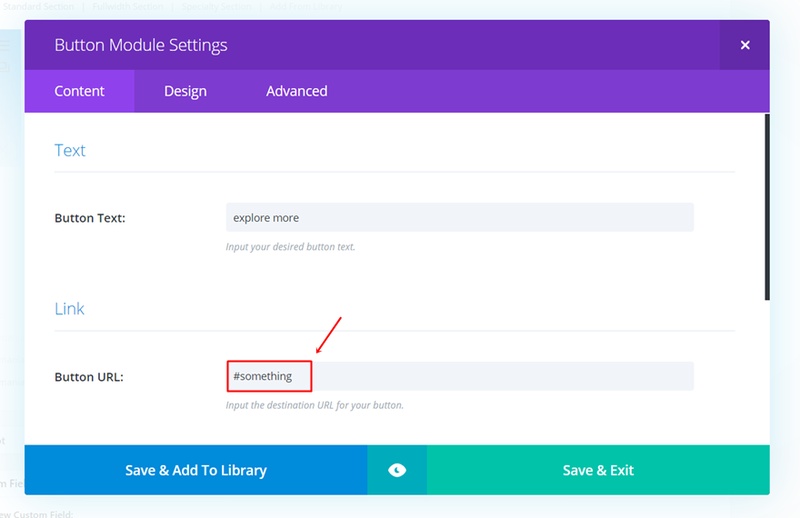 For this example, we’re simply going to put it in the Theme Options. 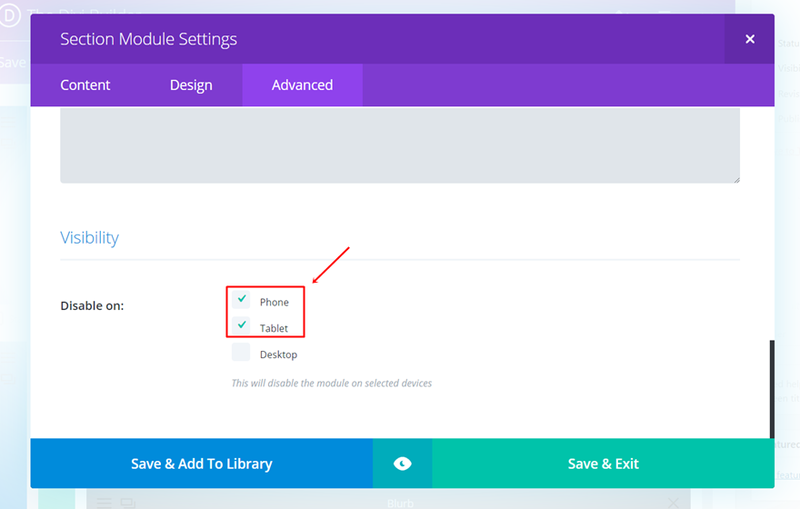 In this post, we’ve shown you how to create a contact form on click. Using this method to get in touch with your visitors is subtle yet effective. If you have any questions or suggestions; make sure you leave a comment in the comment section below. Very nice Donjete! I’ll use this one for sure. This is a very useful post. Thank you. Nice Work…i’ll be using that! 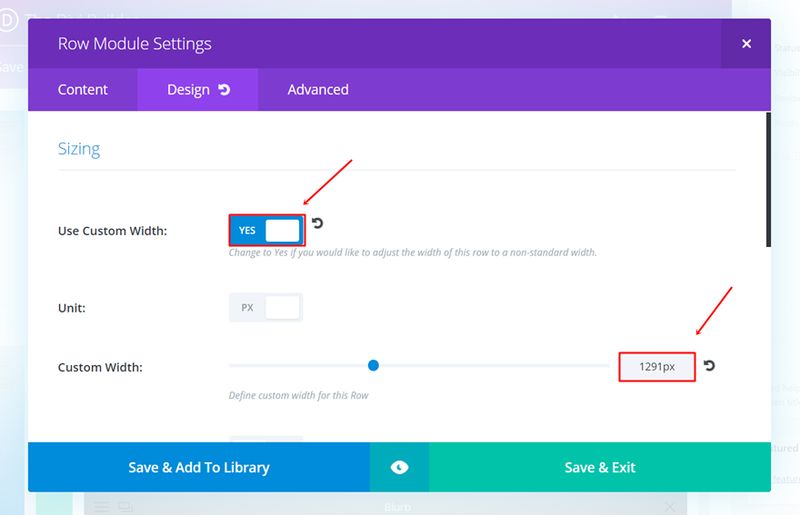 Gosh what a great idea and design and instructions so clear… but… it didnt work for me ((( Put the beautiful form right in the middle of my front page slider without clicking any button… same on my mobile. I went through it all again and it did the same ((( get the form right across my slider when you open up the front page (have taken it off now by the way)… any idea why this would happen ? Great job Donjete! I will use it on my future projects. Thanks. As always Donjete, your technical posts are just great! Very cool! Thank you for tgat. But is it working if a user has a popup blocker in the browser? I’m using Bloom but it doesn’t show my ActiveCampaign lists. ActiveCampaign’s support team says the problem is Bloom. Bloom recognized account, but doesn’t show the lists. very great , i have buy divi overlay but is bad no lightbox effect. why don’t you propose a layout/.Json? vrey cool but how add “close” class to background, for close with lightbox effect ? Great article! I will definitely use this on my website. Excellent idea and something I’ll try out on my next site. Very usefull post! Thank you Donjete! This is great! Is there a way to make it work with a Top Menu link? I have a call to action button called “START YOUR PROJECT” in my top menu and would love for it to trigger a pop up like this. I tried with the method you showed and made the “url” for the custom menu item to be #contact, but it did not do anything. You need to add the same class=”button” to the menu link. Will there be a way to incorporate Bloom with this feature? I mean, instead of a contact form pop up, an optin popup to get a subscriber, much like a two step optin page? Hi, it works for me, but in the phone the header hide the popup window. How can I bring to front the popup window? with six nines, because the header have five nines by default. the same happens on fixed menu on desktop. It’s better with fadeIn() instead of display:block. 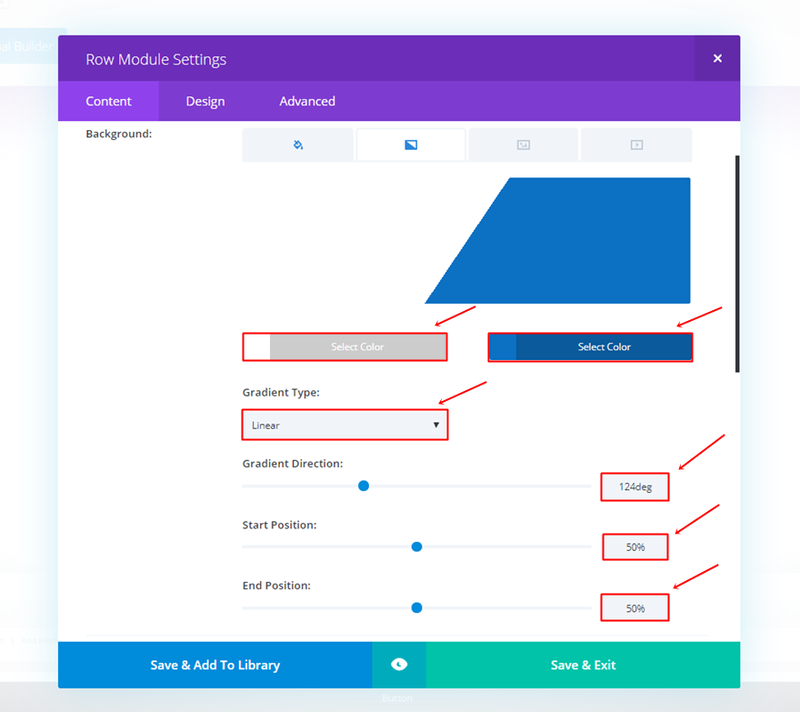 I was wondering if you could show us hoe the inspiration contact form by B3multimedia can be created with Divi elegant themes. 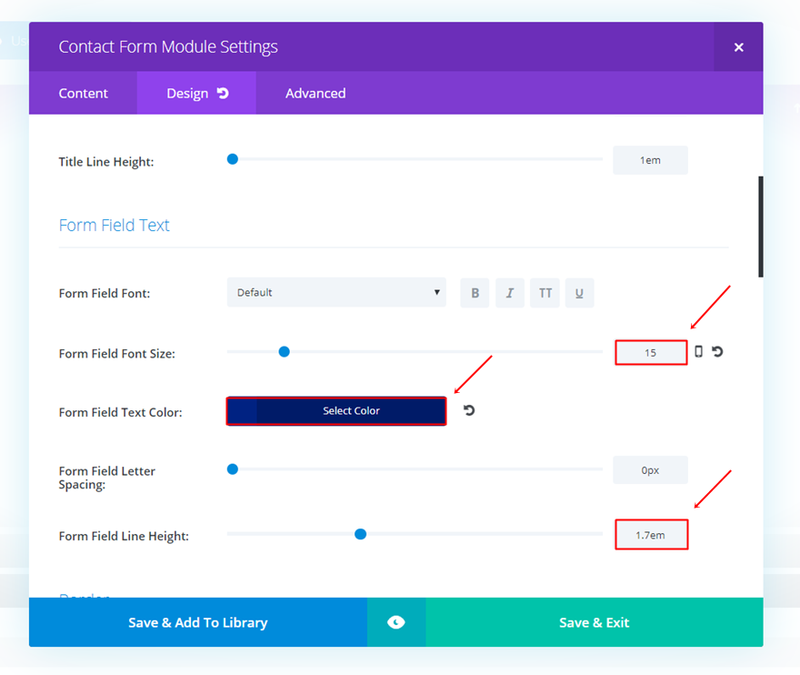 I have been looking for options for a slider contact form like in http://www.conversionlab.no and the contact form pop-up in the Polygon inspiration you just showed. Are there any tutorials for this from elegant themes? We want to be able to add other information such as name, phone number, and message box as well. 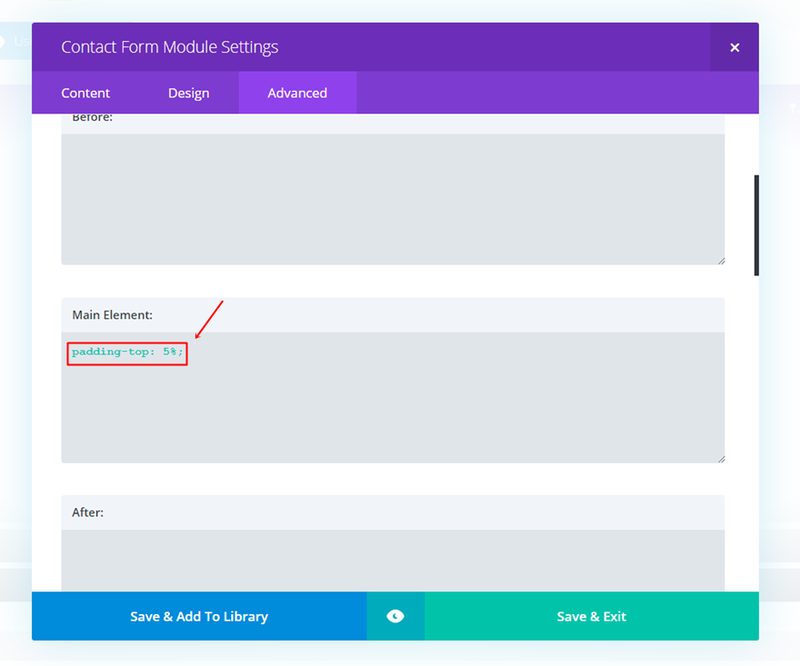 Are there future plans to have the DIVI contact form retain the entry on the back end of WordPress? I want to use the contact form as a registration tool for free events at our church (and because of it’s interface, other people can easily edit the forms) but I need a CSV output of the submissions to a form – I can’t risk having only an email copy of each submission. 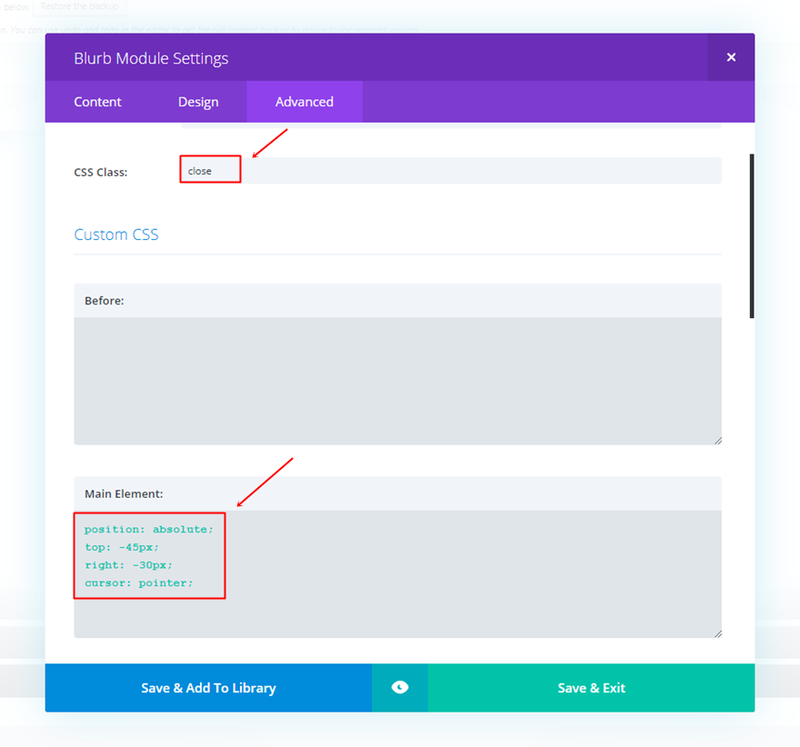 No modal options for Divi 🙁 so this is a great alternative. Going to integrate this for my contact forms today. Thank you so much for sharing, great work. Thanks this is a great tutorial! But I would like to activate a popup using the websites cta menu button from any page on the website. But this does not work, even changing the menu buttons css class and/or url link does not work in the way i want. Depending on what i tried.. when clicked from any page that is not the page i created the popup on it does nothing, or it redirects to the page i created the popup on and then i have to click the button again for the form to pop up. So what i thought of after trying different things and failing, was to put a form on every page, since it is a small website. When i test it with a button on the page it pops up on desktop/tablet/mobile. But when i test it with the cta menu button.. it only pops up on desktop. I have been struggling with this for two days now searching google with no luck whatever i try and posting a ticket with no reply. Hi, great idea to use this popup in different sections of the site … on my site works badly. the popup ends up under the main menu and does not allow me to close the popup. How can I fix this problem? how to include current url in the email message sent ?